I am very excited to announce the release of my first novel, LAZARUS, on Amazon Kindle. 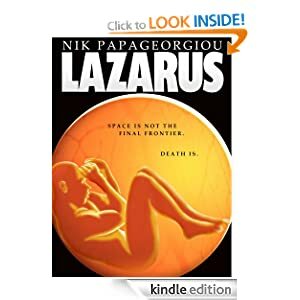 LAZARUS is a psychological crime thriller that I wrote during an insomniac period of my PhD, and I’ve always considered it to be my most personal novel. Well, after 7 years and a number of permutations and edits, LAZARUS is now released on the unsuspecting public. And if you don’t have a Kindle, don’t worry – you can download a Kindle app for pretty much everything under the sky, by clicking here. It’s a dream come true, and now shared. I really hope you enjoy it. ← Y U NO DRAW?